Hello NBA 2K basketball fans I am Nino Samuel and I am an AI producer for NBA 2K19. I am thrilled to be able to share with you just a few of the advancements our game has made this year. Each year our goal is to bring to you a smarter, deeper and more nuanced AI game-play experience. We have a tremendously talented team of producers and engineers and I can’t wait for you to get your hands on the changes we have in store for you this year. Lite is best for experienced play callers who prefer not to have a lot of visual cue’s on screen. Full play art is perfect for those who enjoy a little extra visual assistance on screen to help them execute the perfect game-plan. Lite and Full offers you the best of both worlds and will ensure that you learn every nuance of that play or action. We streamlined our OTFC menu to allow users to make quick changes to their offensive coaching strategies. D-pad to the left will bring up the play-calling menu. This gives you access to two dynamic plays. A quick post-up and isolation action as well as smart play. The dynamic plays are selected according to the Adaptive Coaching Engine (ACE). Or the user selected game-plan if ACE is turned off. We redesigned the game-plan menu so the initial options are immediately accessible without the without using LT/RT. If you want to call a play for a specific player but you do not want to search through the playbook, Tap LB and the player icon. The first page will have a quick post-up and cut to the basket options. In addition the bottom two choices will allow the user to select the type of play. The AI will dynamically select a play of that type from your playbook. Last year we heard from our users that despite the size and depth of our playbooks our AI seemed to repeat some plays and rarely select others. So, despite a player having many plays assigned, users were seeing the same few plays repeatedly. We found that the AI gave too much credence to the dominant play-type of a particular player. This was made worse if you had two or three top scorers with the same top play-types they would essentially take turns running the same block of plays. This year we reorganized that logic to enable a more even distribution of plays throughout a players assigned play-types. The only caveat being if the AI detects a positional mismatch. 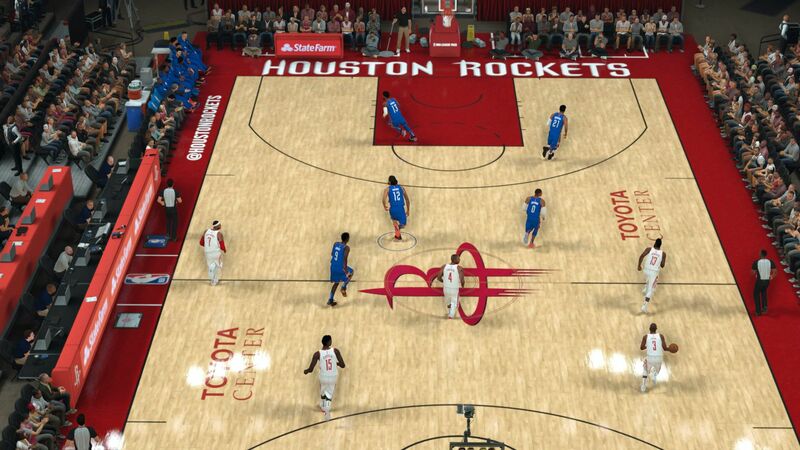 This is a situation where the defender assigned to a star on your team is an inferior post or perimeter defender. In this case the AI will attack you with isolation and post actions until you switch that matchup. The NBA is our muse. We are constantly watching, scouting, and charting teams in the league and developing systems to replicate what we see. One thing that struck me a few years ago was Lebron in the Playoff’s creating offense by selecting the weakest defender and forcing them to switch and guard him. We have had logic in our game that can detect a mismatch but our defensive AI is so advanced that by the time we identified the matchup and ran an action to take advantage, the defense would have switched back. Running a full play in these instances just wasn’t a good enough solution. A user who was great on the sticks could of course manually call an isolation or quick post but that takes too much stick skill to be done consistently by our casual fan base. This year we are thrilled to introduce our pick and roll smart switch AI module. 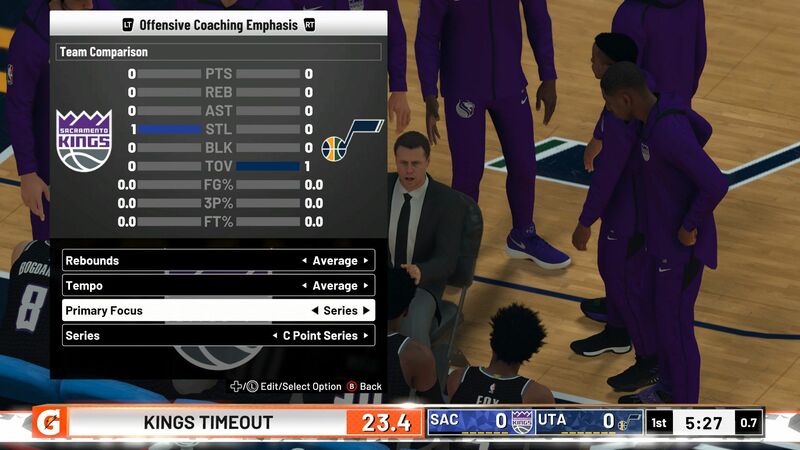 The module allows the AI to immediately recognize and switch on the ball-screen and then evaluate if the ball-handler or screener have a mismatch. If the system detects a switch but no mismatch is present, it is smart enough to continue with the original action. Our smart switch pick and roll module changes the way casual users are able to engage our game. While it was built for the AI, we also allow it to trigger for users. The spacing for an isolation or a post-up happens automatically so there are no buttons to press, or actions you need to take. Users are free to pick the worst defender and attempt to force a switch to take advantage of the mismatch. 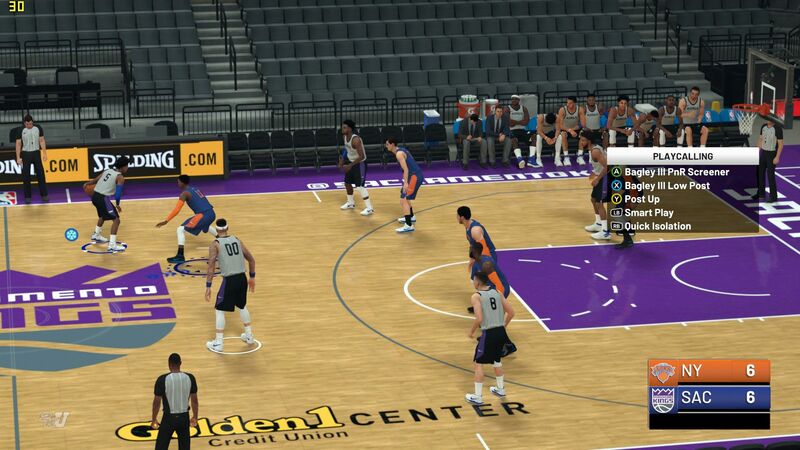 This is also a game-changer for our MyCareer players as well. If you are a big who set’s solid screens you will be the benefactor of more quick post-ups against a mismatch in these situations. This is one of those changes that you just can’t go back to living without once you experience it. In this third year of our transition update there were a number of technical improvements that were done under the hood. What we were able to achieve is the best flow and spacing in transition we have done to date. When players fill their proper lanes, it naturally leads you into your early offense opportunities. In previous games our double team AI waited for an actual double team animation to trigger as a signal that a double had occurred. This meant that the user was tied-up by the time the action kicked off. So this year we re-wrote our double team module AI to anticipate the double team. We tuned it so that even though the system detects the double early it still gives you time to retreat before starting the double team response. 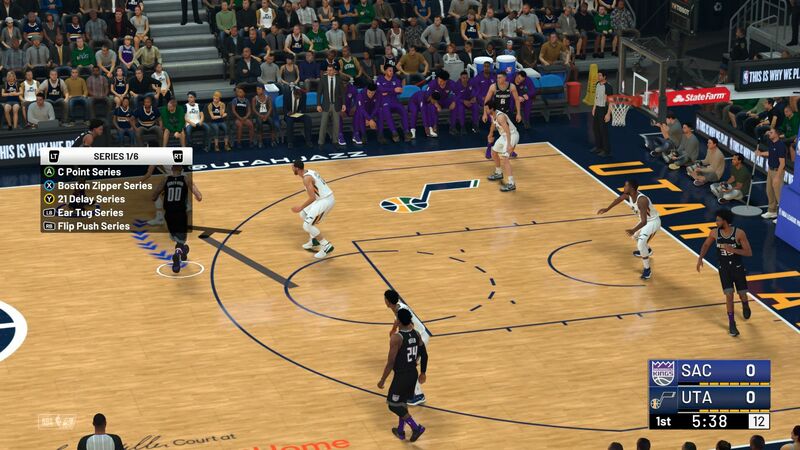 Now, actions are not constantly breaking for near double team attempts. This, combined with the double team work on the defensive side means our double teams play out more organically. It is no longer an either or situation. You will see cases where the offense scores. You will see situations where the defense adjusts and takes away the initial pass. What is really exciting is that we have seen cases where the defense adjusts, then the offense adjusts and then the defense adjusts again. It is a beautiful thing to watch and shows just how deep and integrated our AI systems have become. 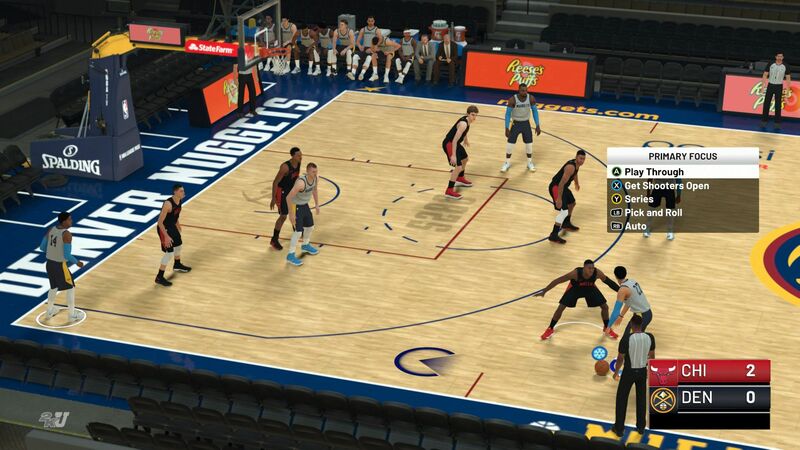 If we find that there is a particular set or area of the floor where double teams are too effective we are able to add coverage via a roster update through ACE. At any point in the attack phase the AI can decide to branch out and take the drive. This behavior is limited by coaching tempo settings and the players drive tendency. The AI doesn’t mindlessly take every open drive opportunity. In some cases it will neglect the open space to stay in the play. So you will see all kinds of variation in term of when the do it and if they attack. The right combination of tempo and tendencies can have some players constantly attacking defenders who are out of position. While other players will prefer to stay with the called action. It looks so natural in these examples that you would have thought it was always there. Freelance is the default motion a user or AI runs when not actively running a play. Our implementation of freelances a few years ago changed the landscape for user’s expectation in terms of the depth, variety, and authenticity of the default motion sets and actions. Each year we have continued to refine the infrastructure and add to the technical capabilities of these systems. This year the focus was on usability of the feature so the freelance style modifiers have been retired. Our freelance tech has matured to the point where it is has become an infrastructure and now a freelance can be anything we want it to be. In an effort to provide users with more current freelance types. We took what sets, series, or actions teams like to run and turned them into seven brand new modern freelances. If you are a basketball junkie like I am some of these names will be familiar. Piston Snap – I had fun turning this series into a freelance. Perfect for advanced users. Requires correct spacing and timing to work properly. Philly Elbow – Motion with big at the elbow, clean and simple actions. Boston 14 Motion – We took the Celtics 14 series and turned it into a freelance. This is one of my favorites and I usually run this regardless of what team I am controlling. The deeper the base set we pull from the more creative it makes me in the freelance implementation. 43 motion – Another series we converted from the Celtics. This might be my second favorite among the new additions. That brings our freelance total to 27 for this year. We saved three freelance spots. These appear in the OTFC menu as Freelance 1, Freelance 2, and Freelance 3. The open spots allow me to create and add a new, or update and bring back a freelance, we had in game previously. If you would like to keep track of freelance updates follow this hash tag or twitter @Da_Czar #NBA2K19FREELANCEUPDATE. Use the hashtag to recommend a new freelance or to request we resurrect a favorite. This year we are proud to introduce our brand new procedure based AI. Let me start by saying there are a number of new technical advancements that are all rolled up into this new system. We won’t go into each one individually as that would take way too much time. This new system allows me to take any basketball situation and prepack it with offensive solutions to defensive counters. Once I build this stack of solutions I am able to deploy that procedure with all of those options anywhere in our system. Once deployed, if I want to make a change or adjustment. All I have to do is update the base procedure and every place in our game that uses that procedure is immediately updated! This includes any upgrades to the technical abilities of the system in the future! If you don’t quite understand, hold on, as I have a pretty good example to illustrate this exciting new tech. As you watch the video example remember this is all from a single action that is built out of a procedure. The AI evaluates and overcomes defensive resistance. There is no current limit to the amount of solutions I can pack into a single action. As the defense provides an obstacle, the AI immediately provides a solution. This is an isolation opportunity out of the Celtics 14 series. This first video is ran straight through. Here the backdoor becomes available and they immediately take advantage. Here, I know what is coming and take away the isolation. Note that this procedure was built specific to Brad Steven’s offense. In this case I wanted them to continue with the flex cut. I could give the AI any single solution that I have built in my extensive library of actions. Or, create something entirely new and deploy it immediately through a roster update! Here, the solution provided attacks Horford in the green jersey trying to take away the pass that he knew was coming. The speed and efficiency of the AI’s recognition of the defensive obstacle is unlike anything you have played before. It is a fluent system that can continually be added to and refined. If we never upgraded the system again I could continue to add to our AI’s capabilities with this system for years to come. 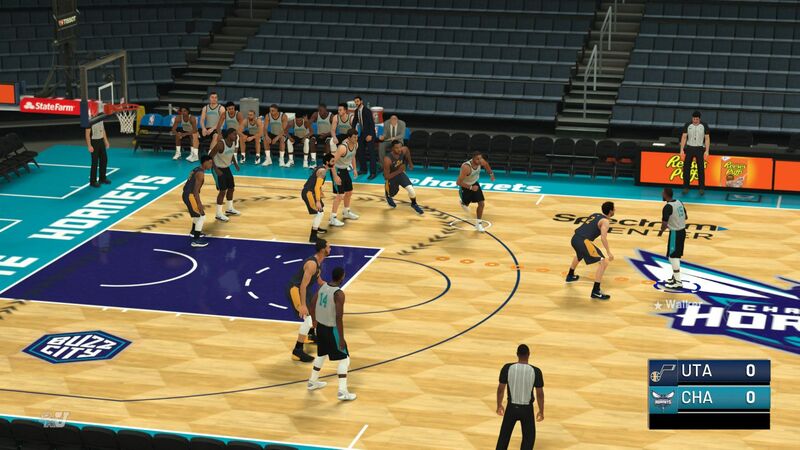 As a year one implementation, procedure based AI begins in NBA 2K19. In the NBA, a series is group of plays with a similar base that allow a team to read the defense and have pre-determined reads to take advantage of defenses on the fly. Some teams will run a series of plays back to back to disguise certain actions. The premise of a series is that the familiarity of the set gives the defense false confidence and allows them to be fooled or misdirected when things don’t turn out as they anticipated. The series concept was invented to increase the ability of the AI to execute but we do allow the user access to the series through the OTFC. Users can access series by pressing right on the d-pad and then selecting Y once for primary focus. Then Y again for series. The series is also available in time-outs allowing users to set their primary offensive option there as well. With users in God mode, they can see everything coming. So we added counters and reads to keep users busy when defending against the series. 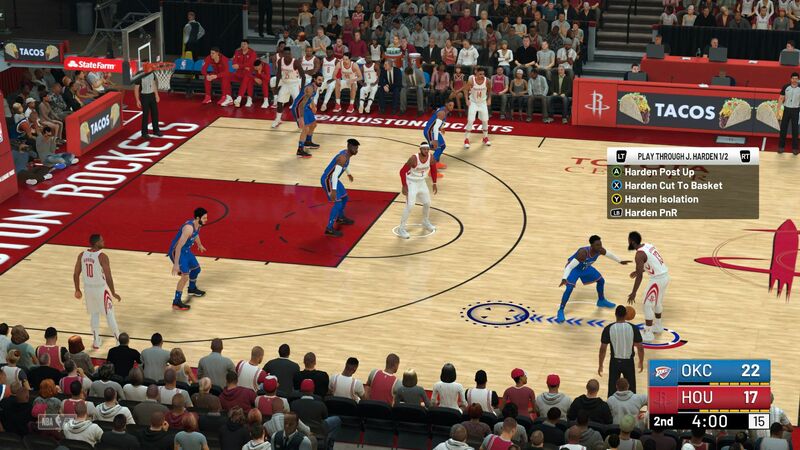 Series actions in NBA 2K19 are not just a collection of regular plays. They are built with our brand new Procedure AI. Each action is packed with solutions for the AI to overcome defensive obstacles. If you watch the videos in the procedure AI section again, remember that it is a single series action that all of those options spawn out of. Each series has between four and ten separate actions. A series can be added to indefinitely so as we move forward each series can continue to grow as deep as we see fit. We can also update existing series actions and even add new actions via a roster update. To really grasp the depth and quality of the series you have to get your hands on the game. There has never been anything like this. Similar to the freelances, we save four spots in the series design in case we see some dope sets this NBA season that we want to turn into a series. Use #2K19SERIESUPDATE to let us know which series you want us to consider adding. To take series to the next level, we added AI to enable the results to be tracked. If a shot is taken the AI charts the results and looks at if the shot was made or missed. If the shot was missed we track the shot quality. If it was a poor shot the AI moves to the next action in the series. If the shot was made or the quality of the shot was high enough, the AI will keep running that action until you stop it! I hope these highlights get you excited to get your hands on NBA 2K19! 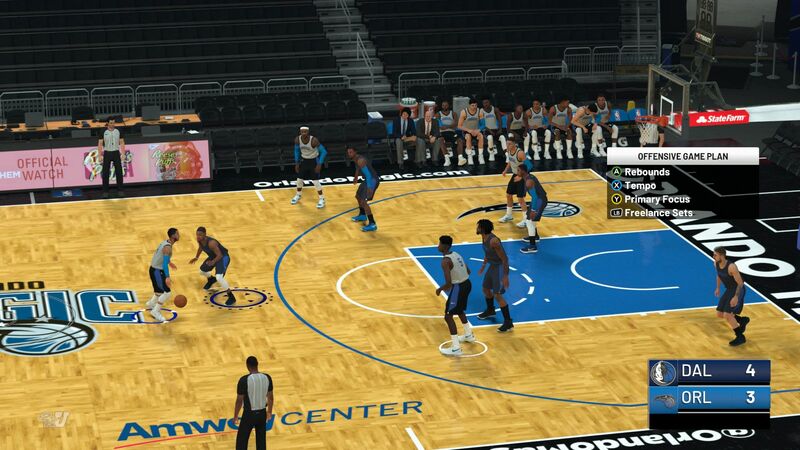 This is one 12 min quarter game of me vs our AI on All-Star difficulty. Very intense game and you can see all the systems at work. I ended up winning this game by six points.